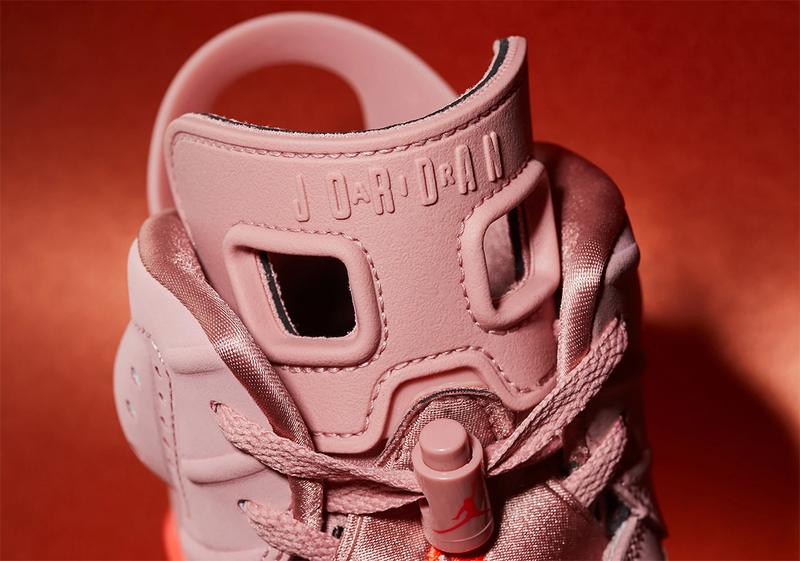 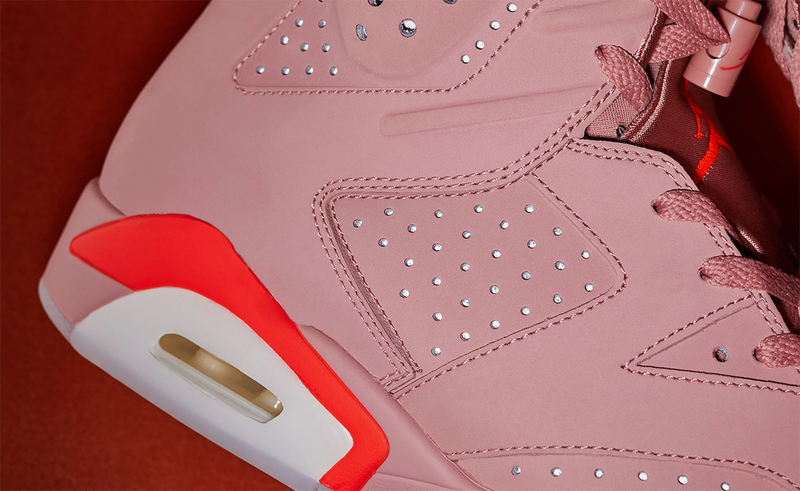 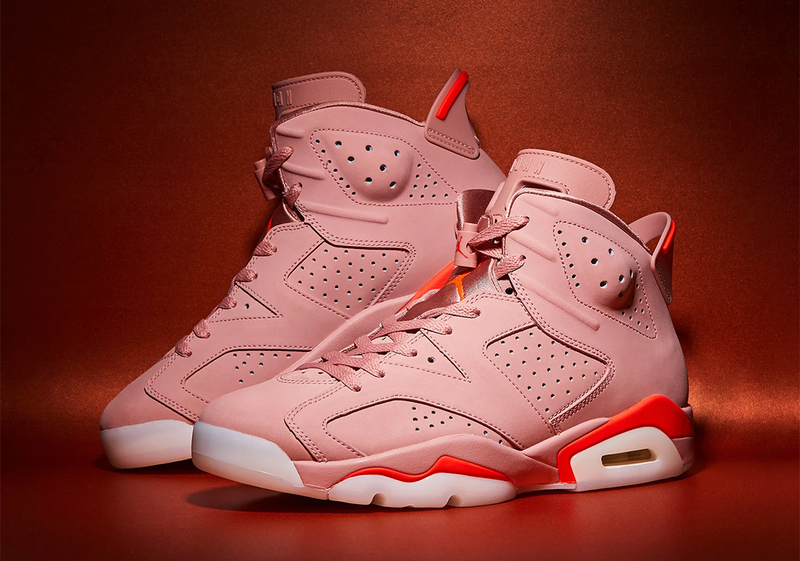 After a duo of extremely successful Air Jordan 1 collaborations over the past two years, multihyphenate creative and leading lady of Jordan Brand Aleali May is back again with her third collaboration: a “Millennial Pink” Air Jordan 6. 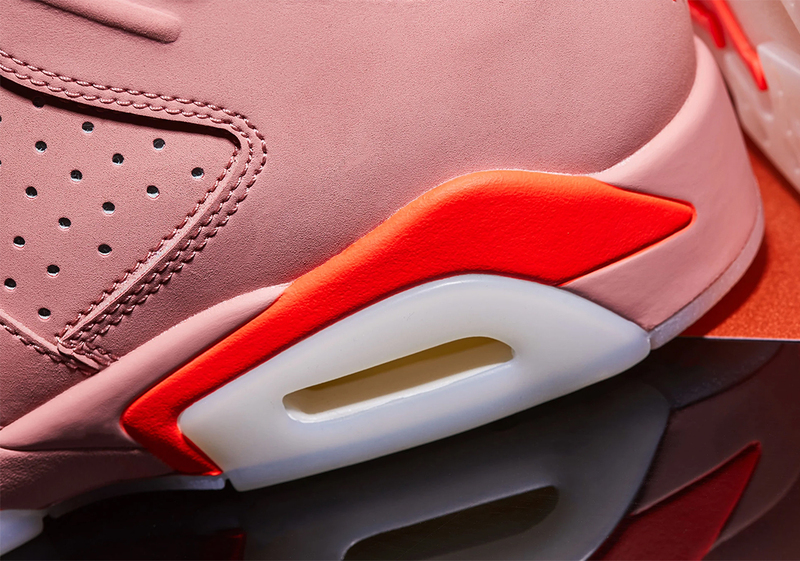 Drawing from the androgynous shade’s soothing properties and worldwide use by both men’s and women’s brands — a detail May noticed on her travels — this AJ6 takes on a tonal premium soft pink upper, accented by flashes of bright crimson on the throat and heel. 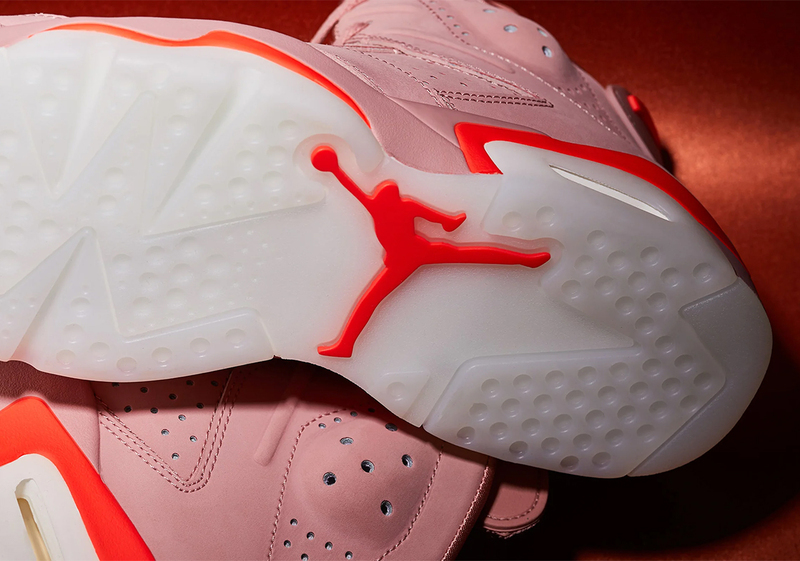 The midsole continues the combination of crimson and pink, while the outsole keeps things all the way classic with icy translucent stylings and an extra-large Jumpman. 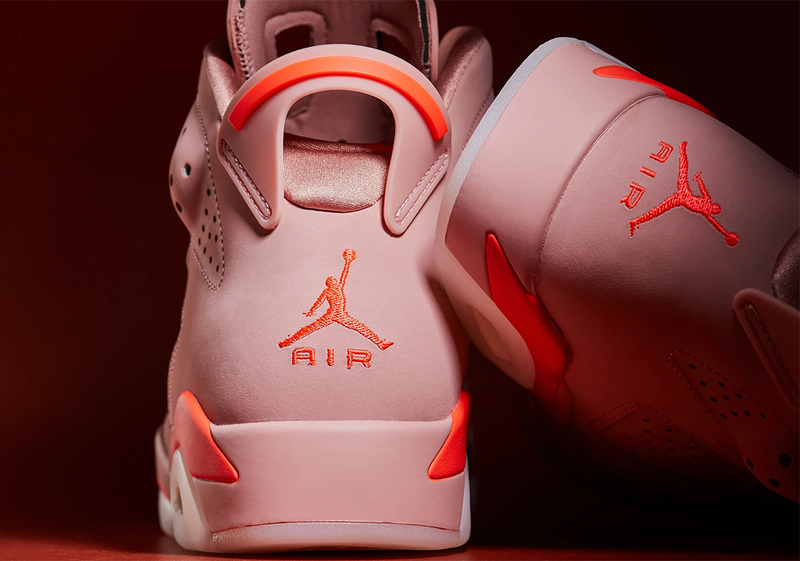 If the wild popularity of her last collaborations is any indicator, these 6s — the silhouette Michael Jordan captured his first-ever NBA Championship in — are sure to fly off shelves at the speed of light when they release on March 16th for $190 USD, so check a store list below to see where you can secure your pair.